Below you can view all the homes for sale in the Holly Springs Crossing subdivision located in Marietta Georgia. 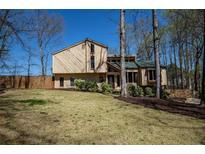 Listings in Holly Springs Crossing are updated daily from data we receive from the Atlanta multiple listing service. To learn more about any of these homes or to receive custom notifications when a new property is listed for sale in Holly Springs Crossing, give us a call at 404-998-4102. Non Covenant, No Hoa Dues, Swim/Tennis Available. Move In Ready. MLS#8547713. Listwithfreedom.Com Inc.
Lower Level Offers Additional Storage Space And A Separate Office Space. MLS#6527491. Solid Source Realty Ga, Llc.. The House Sits On Cul-De-Sac , Level Back Yard W/ In Ground Salt Water Pool,2 Open Decks And Covered Porch Ideal For Summer Fun. MLS#6526408. Atlanta Communities. The House Sits On Cul-De-Sac , Level Back Yard W/ In Ground Salt Water Pool,2 Open Decks And Covered Porch Ideal For Summer Fun. MLS#8553585. Atlanta Communities. Convenient Location Near Shopping Restaurants And Easy Commute To Interstates Two Very Friendly Dogs MLS#6526840. Premier Properties. 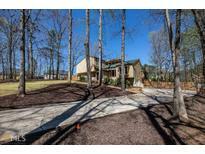 Hardwoods, Huge 2 Car Garage, Beautifully Landscaped Yard And Koi Pond With Waterfall. This Home Can Close Fast! MLS#6519392. Berkshire Hathaway Homeservices Georgia Properties. Swim & Tennis Memberships Available In Connected Neighborhood. Custom Blinds. MLS#6515307. Keller Williams Realty Partners. The Top Award Winning Schools Make This Home Even More Valuable. MLS#6505009. Atlanta Communities. New Sliding Door Access To Patio & Beautiful Yard. MLS#6504364. Info Realty, Llc.. Excellent East Cobb Schools! Perfect Home, Price, & Location! MLS#6126652. Keller Williams Realty Partners. Private Owner'S With Upgreaded Bath And Two Secondary Bedrooms On Upper Floor With Low Flash T. Finished Basement With Kitchen And Big Full Bath, Office/Bedroom, Exercise Room.Fenced Backyard. No Hoa MLS#6110857. Solid Source Realty Ga, Llc..
** Basement Has Been Water Proofed With A Transferable Warranty. ** MLS#6090144. Maximum One Realty Greater Atl..